The Black Bag Media Collective are in full support of the Land Protectors and Hunger Strikers currently engaged in a fight for the lives, land and culture. Muskrat Falls – a disastrous hydroelectic power project in Labrador, Canada – is now threatening the residents of the area with Methylmercury poising and landslides. 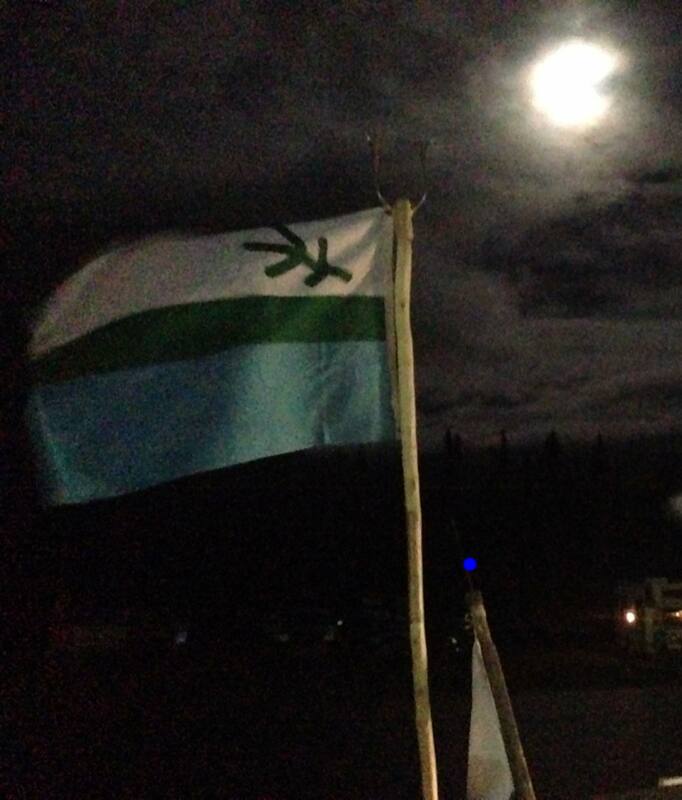 “Everything Is Leaking” – a look at this week’s events surrounding the crisis at Muskrat Falls, by the BBMC’s Liz Solo – is an offering of support and solidarity and a tool to spread information about what is happening here right now. Please share. More to come. Best viewed in full screen with speakers up loud. 1 Fully clear the future Muskrat Falls reservoir area of wood, brush, vegetation, and topsoil before flooding to mitigate as much as possible increases in methyl mercury exposures for downstream Inuit populations, building on recommendation 4.5 of the Lower Churchill EA panel. Until full clearing is carried out, Muskrat Falls reservoir flooding must not be allowed. 2 Negotiate an Impact Management Agreement with the Nunatsiavut Government to the satisfaction of all parties before Muskrat Falls reservoir flooding and subsequent adverse downstream impacts occur, consistent with recommendation 13.9 of the Lower Churchill EA Panel. 3 Establish an independent Expert Advisory Committee of recognized experts, including from the academic community, to advise on mitigation measures and the design and audit of a rigorous, credible, and predictive monitoring program related to downstream impacts of Muskrat Falls using the best available scientific and Inuit knowledge. 4 Grant Inuit joint decision-making authority over downstream environmental monitoring and management of Muskrat Falls through the creation of an Environmental Management Board, to which the Expert Advisory Committee on monitoring would report.